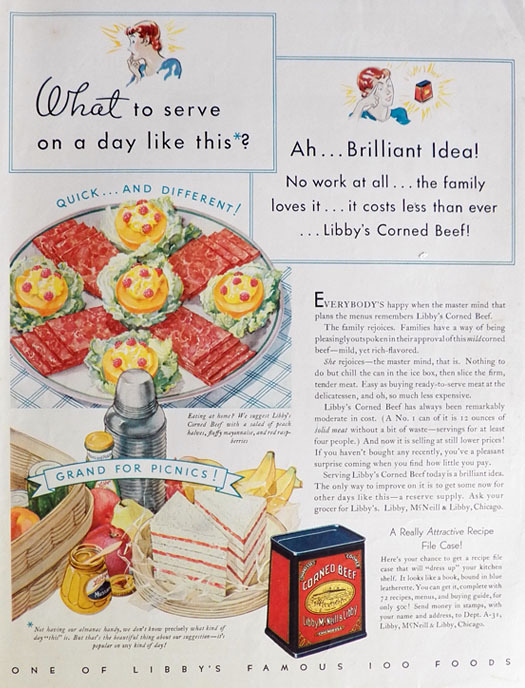 Original vintage magazine ad for Libby's Corned Beef featuring an offer for a Libby's Corned Beef Recipe File. Tagline or sample ad copy: Brilliant idea! No work at all . . . the family loves it . . . it costs less than ever . . . Libby's Corned Beef! Condition: Good. Some creasing to UR corner.